The 80 labels in Galison’s tri-fold book of labels are decorative and prevent gift mix-ups! They are also handy for labelling files and boxes, or for decorating envelopes. Several titles serve as bookplates, too. Each 11-3/4 x 3-3/4 x 1/4″ book of labels includes 80 decorative peel-off adhesive labels using 8 images: 40 rectangular labels measure 1-1/2 x 3-5/8″ each and 40 labels are each approximately 1-1/2″square. 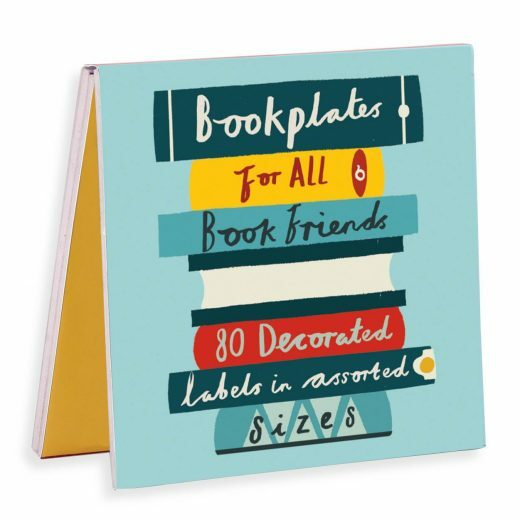 Books of labels measure 3-3/4 x 3-3/4 x 1/2″ when folded closed and are packaged in a poly bag. A cardboard POP display that holds 40 units is available.